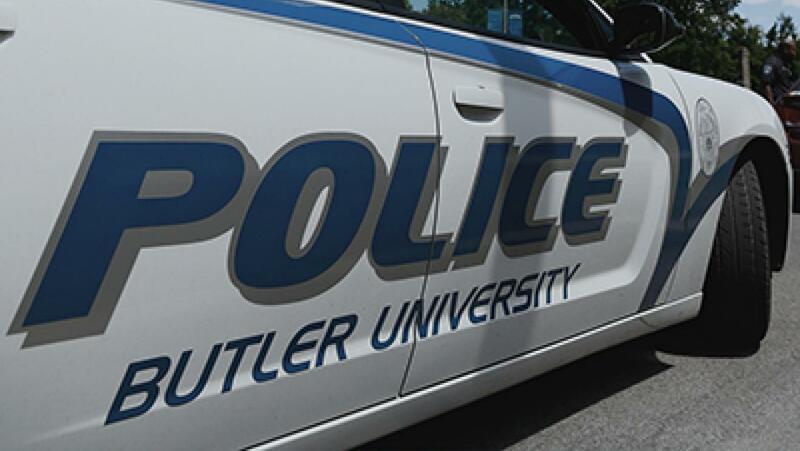 The Butler University Police Department sent out a tweet late Oct. 1, that created concern throughout the Butler community. BUPD responded to an incident on Oct. 1 when a student reported a car slowly driving by while she was walking to her sorority house. The car turned out to be an UberEats delivery driver. BUPD Chief John Conley said the late shift sergeant’s intention with the tweet was not to be negative, but to update students of the event. The attached photo was added to the tweet so that students would be more apt to see the information within the tweet, Conley said. Conley said communication has been something BUPD is continuing to work on. In a recent town hall meeting hosted by the Student Government Association, Conley said BUPD would try to be more active on social media in order to keep students informed. BUPD also responded to their own tweet late in the afternoon of Oct. 2 in response to student concerns regarding the post. Thank you for feedback and we hear what you are saying. Our intent was to depict that this situation was reported and addressed. We had no intention to make light of the situation in any way. We are grateful that our students are staying aware of their surroundings. Students and parents were quick to respond on the night of Oct. 1 and throughout the day on Oct. 2, mostly through quoting BUPD’s original tweet. As a parent of a Butler Student I think that is an offense statement to convey to the students given the fact that there has been questionable activity on campus. The students are obviously concerned and need to remain vigilant for their own safety and the safety of the campus. As the mom of a Butler grad, I would hope you would not make the security of my daughter a punch line on Twitter. Students’ safety and well-being are paramount. This glib remark is beyond disappointing. Digital managing editor Zach Horrall also contributed to this story.